Originally a native of California, Mr. Peinado has been teaching at the elementary level since 1999. This adopted Northwesterner enjoys digital photography, web development, reading non-fiction and spending time with his family. Trekking, bouldering, snow skiing, mountain biking, white water rafting and kayaking are activities that he loves to participate in. In addition, Mr. Peinado loves music, both listening to it and singing it, and participates in several ensemble music groups (vocal, instrumental). He is a graduate of La Sierra University in Riverside, California, with a Bachelor’s degree in History & Political Science. Before entering the teaching profession, Mr. Peinado worked in public safety–the last three years of his patrol assignment was working with a K-9 named Max–and had completed course requirements for a master’s degree in forensic science. He began his love relationship with teaching while working as a substitute teacher to finance his education. Changing his life course, Mr. Peinado completed his teacher certification and began teaching in multi-age classrooms. His experience includes teaching grades 1 though 8, at times all in the same classroom. He has taught in California, Idaho, Oregon and now Montana. Mr. Peinado loves working with kids and is passionate about teaching, learning & playing. 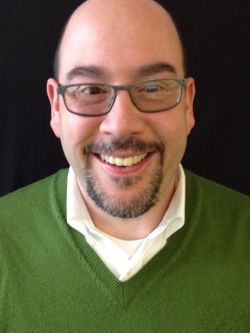 He has completed graduate course work in educational leadership at Walla Walla University and is a recipient of the Don Keele Award for Educational Excellence for innovation in instruction and educational technology. He is a facilitator in Love & Logic for classroom teachers and has completed professional development in the areas of Thematic Based Instruction, TRIBES, Differentiated Instruction, BrainGym and Guided Math Instruction.